I was awakened early by elephants. Not just this particular morning as I opened my eyes to the gentle rumbling, indulgent swooshing, and shrill trumpeting of a elephant family group at a waterhole in front of my bed at a wilderness lodge in Kenya. 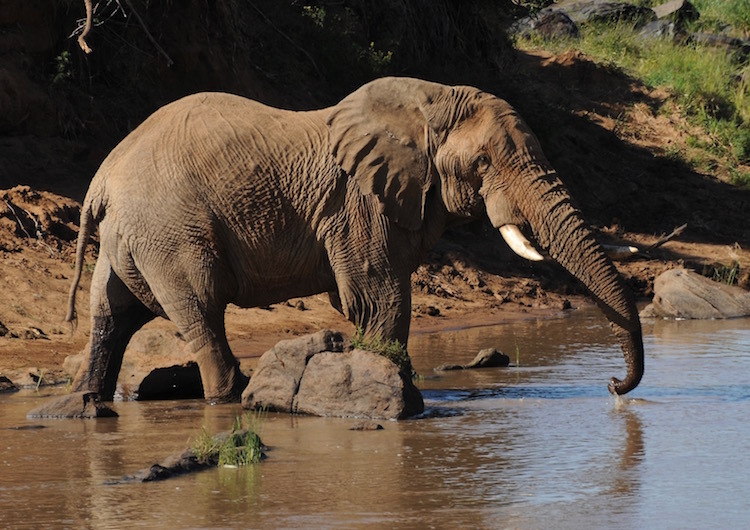 To sit in silence, undetected, as several family groups make their way to the distant river… to observe for hours, then days, their interactions and subtle behaviors, and listen to the sounds one can instinctively identify with elephants, is a blessing. And, increasingly difficult to experience. Poaching and loss of habitat threaten to destroy this sentient species and a millennia old earth rhythm, which expresses life in its rightful way. I have watched hundreds these past years in some truly wild and isolated places walking to find something: food, families that no longer exist, water, safety. Many seem world weary, exhausted with their alertness and movements; their eye contact asking ”can we rest here a moment without persecution?” They must continually walk to find space to simply be. I was awakened to their “Being” in childhood. 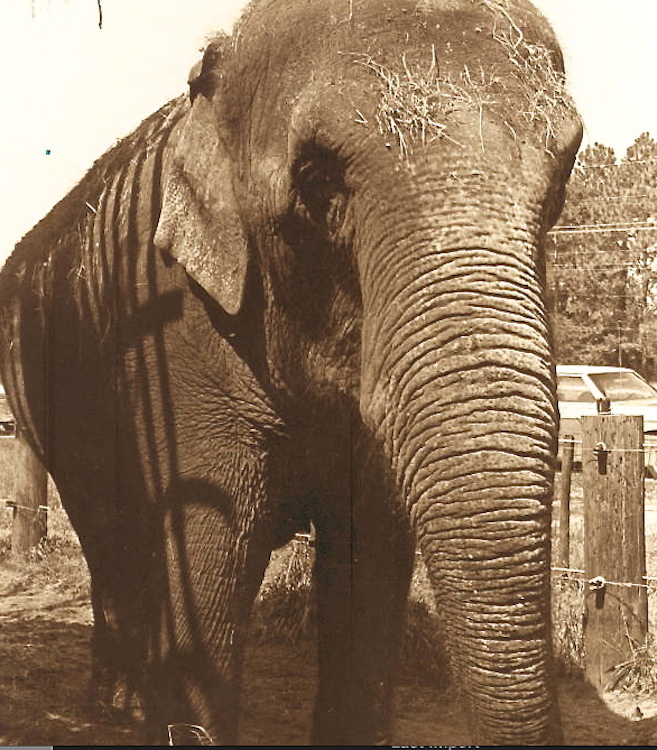 This love for them first formed with a captive Indian elephant in Wilmington, NC in the early 70’s, with a sadly shackled Indian elephant in a small exposed roadside zoo compound. The ele seemed to be lovingly attended to by an elderly Africa American named James Dinkins, an employee of the zoo, who sat in a hard chair along side the barricade, day after day, for decades. In this very rural setting I watched them keep company together over the years. And I imagined them contemplating their respective fates and cultural incarceration together, as this was during the early years following civil rights in the south… and each perhaps conjuring up hazy cellular memories of displaced ancestral homes, so far from their current destinies. Matteau the elephant and James Dinkins died within months of one another. When she died on November 22, 1992, the eighty-year old elephant was proclaimed the world’s oldest living Asian elephant. Perhaps James was the world’s oldest keeper of a solitary elephant spirit’s story, as well as his own life story as a “being”… and not a thing. Matteau was buried on a hill near the compound, Mr. Dinkins bones placed with his own species elsewhere. I wonder if their liberated ghosts mingle and reminisce an uncommon friendship that was based on their mutual exile from their own kind’s roots. The classic anti-slavery novel “Uncle Toms Cabin or “Life Among the Lowly” was published in 1952 and acknowledged as contributing to changing the way many people viewed slavery. It is not commonly known that the original subtitle was; “The Man that was a Thing”. This was considered too powerful at the time of its publishing in 1852 so it was rejected as the title. Maybe simply just too much truth for the collective conscious to admit to. Early Anti-Slavery movements were a moral marking point in human evolution. Perhaps critical mass was reached in the collective consciousness that perceiving another human being as a thing was unjust and untrue. Why it takes so long and so much suffering inflicted to climb so slowly out of the illusion of separateness is a mystery. It is a slow, organic process to awaken to this awareness regarding cultures, beliefs, and the wild things of our planet. They are not things; but beings… with their own purpose and perfection and legitimacy to live and evolve without judgment to do so by imperfect man. As Universal energies accelerate and dimensions fold upon one another, one of the measurements of an evolving consciousness is the transcending of separateness; the view beyond otherness. It manifests as the capacity for human intelligence to reach out to non-human intelligence; to receive, and to reciprocate. There is an order that is inextricable and inviolable. It is the change and evolution of limited human perceptions of “otherness” and other beings as “Things”. 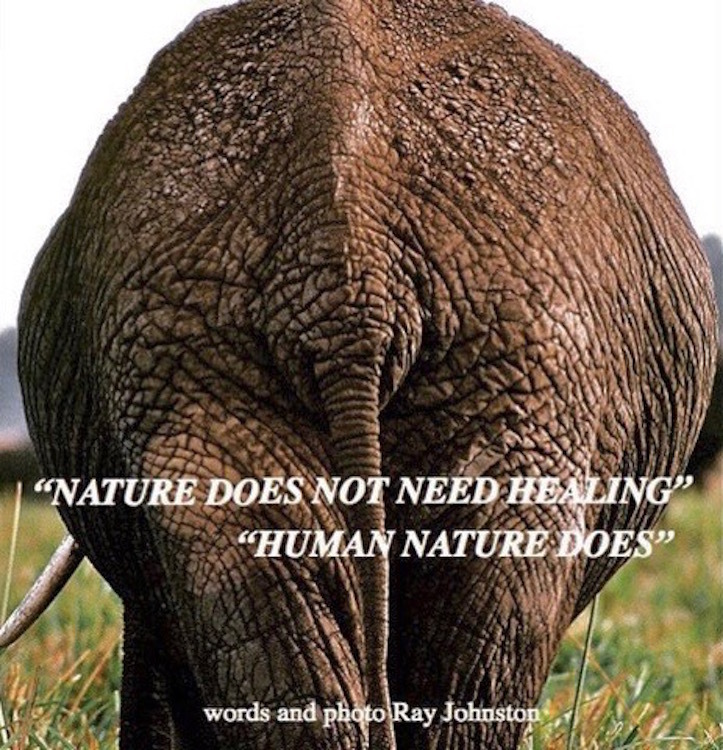 These magnificent beings called elephants, whose own natures and destinies are intertwined with the highest and lowest of human natures, are being irrevocably decimated to extinction. And when the realization that all consciousness is One can be ultimately grasped by humans, we will once again see the error, and sin, of seeing another conscious living being, human or animal, as only a “thing”. Contemplate… the Possibilities… and Probabilities… and Shame, of such of our fellow creatures on this planet as the elephant suffering… and disappearing, due to human ignorance. Change, in the most difficult of places, human nature, is necessary to ensure the highest outcome. However possible, invest yourself in assisting these Beings to not only survive but thrive alongside our two legged species. Become educated; express compassion; support others that do such important, frustrating, all consuming and dangerous work. Below are several organizations I have personal knowledge and admiration of.